The sea-reach of the Thames stretched before us like the beginning of an interminable waterway. In the offing the sea and the sky were welded together without a joint.... A haze rested on the low shores that ran out to sea in vanishing flatness. This image, the opening of Joseph Conrad's Heart of Darkness, is this book in a single image. A seafarer faces the open sea. Above is the sky, implacable; below is the fathomless deep. Nature appears in the primeval, geometric, naked fact of it: there is the earth and there is the sky. Nothing is hidden, nothing obfuscated. Yet the scene is profoundly mysterious. Its immensity awakens thoughts of ultimate concern. The human gaze spans the near and the far, the familiar and the remote. We become conscious of what Blaise Pascal might have called "the grandeur and misery" of human perception: we, voyagers, can dream of would-be places and faraway worlds; we intuit the infinite; yet all this infinity highlights is, in the end, the limit of human knowledge: in the end we see only as far as we can see. And the more we know how limitedly we see, the more our imagination ventures beyond the blurry boundary, and the more we realize how bound-in-a-nutshell we are. This book offers a journey through the changing ideas and perceptions of the ultimate scope of human existence-where it goes, how much we can know, where to draw the line between experience and the unknowable. For this intellectual journey, the horizon provides the lodestar-a mirage, a destination. 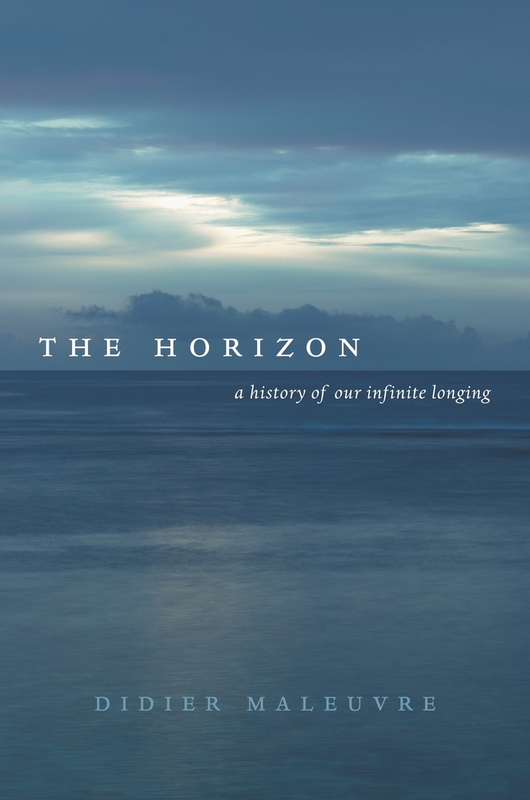 At once insubstantial and insuperable, the horizon symbolizes the shifting frontline between knowledge and reality. It is an image of the elusive, slippery, onward character of human finitude, of our limitedness in time, space, and understanding. Like the end of existence or the outer edge of knowledge, the horizon at the far end of earth and sky does not draw an objective limit; there, earth and sky do not come lip to lip. Drawing not the empirical boundary of the world but the soft edge where perception fades off, the "offing" is really a trick of vision. Where it glimmers, sight beholds its own vanishing. This vanishing-the trace of human vision seeing itself out-is indeed what we mean by horizon. Both knowledge and human life are shaped like horizons: knowledge ends not where objective reality waves a stop sign, but where it runs out of ideas. It is an inwardly drawn limit, which moves in time with the knower. It is a historical limit-in the dual sense that it follows historical development and also marks its outer limit. All historical knowledge pushes against a horizon, and the march of history itself is both a conquest and a forced march toward the open unknown (what the future holds). What goes for historical knowledge obtains also at the individual level. No one knows (save for the death-row inmate and the meticulous suicide) the hour of one's death. And to know it would certainly not cast any light on its hither side. The limit of death is drawn by a purblind artist: I know my life is to end, but the ending paradoxically brings no closure. This paradoxical experience of a limit without an end, of a finishing line that does not materialize, of being bounded by something that is not there-these are the nuances that the word finitude brings to the stone-faced lexicon of end, boundary, borderline, or terminus. Horizon highlights the subjective, makeshift nature of perceived reality. It makes the viewer intensely conscious of his perception, his position, his own self. A horizon reveals a perceiver who knows, if he knows he is looking at a horizon and not, say, the Pillars of Hercules or Jacob's Ladder, that the offing relates to the place he stands on. To perceive oneself perceiving is, inevitably, to look inward; it is to become conscious of the reach of human experience. Images of the horizon crystallize perennial preoccupations with the overlapping limits of knowledge and existence-and it is on this mixed zone of epistemology and eschatology that the present study finds its dubious hunting ground. Like all human constructs and apprehensions, "the shape of the world" is born, submits to the tribulations of time, and dies. Whereas the contents of reality are largely objective features, the boundaries of reality are drawn by speculation-this is true whether we are loftily contemplating the cosmos, whose ultimate perimeter is unimaginable, or more domestically gauging our own surroundings. Whether cosmic or domestic, the limits of reality are mental projections that reflect changing mores and beliefs. Armed with Iron Age assumptions, the Mesopotamian traveler of four thousand years ago could not have seen the same horizon that Magellan glimpsed, even if both voyagers stood on the same spot. Ways of thinking and believing create their own circumstances. We imagine worlds and then end up living in them-often becoming strangers to each other's horizon. Better than one horizon, in sum, we had better speak of horizons. Any cultural history of the horizon, even within the same theological and philosophical tradition, should expect to sail, not under the canopy of a gloriously homogenous skyline, but across a foldout map of jumbled and jagged horizons. Such is the creative plasticity of our worldviews that we cannot, and must not, expect uniformity and continuity. Together with the latter two, we should expect to part with finality. The horizon is the child of curiosity-it is the inquiring, expectant, far-looking mind that beholds a horizon. 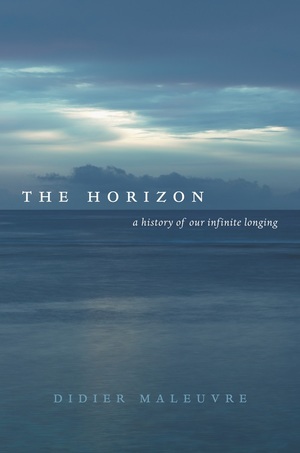 To this extent, the horizon is wedded to the concept of transcendence, a concept that is not inherently high-flown or mystical but underpins everyday human knowledge. Outside religion, transcendence designates the second-guessing nature of human consciousness, the fact that, self-limiting as it is, knowledge is moved to wonder about the space beyond its perimeter. An animal-so it seems-doesn't draw a distinction between its perception and reality: what it knows and what exists are the same. Not so with human beings. Aware of the distinction between mental representations and their objects, we are in touch with the borderline of consciousness. This going-to-the-limit is innate in human intelligence. To it we owe, among other things, the idea of truth, which endeavors to line our conceptions toe-to-toe with what they stand for. A quixotic venture though this matchup may be, we should be sorry to give up trying. A world without that kind of transcendence would be oppressively hidebound. Transcendence is the mental experience that consists in regarding the plane of known reality as open-ended. Now, the horizon beckons toward transcendence but does not fulfill it. A gateway it isn't. It points to finality but leaves the momentum unfulfilled. In philosophical terms, we may say that the horizon is the creation of a diligently immanent observer possessed by an unrequited longing for the unseen. It is this love that keeps him gazing upward and outward; and it is perhaps the love of his own gazing, and the humble acknowledgment of his finiteness, that keeps him from claiming to know or possess the other side-if an other side even exists. Put otherwise, the horizon arises from a religious longing that chooses not to avail itself of the available answers-those by which the satisfied longing hardens into dogma. The horizon is the theological mirage-object of a contradiction on two legs-the nonreligious, unknowing believer. The presence of this ambivalent beholder-protagonist of the horizons of the following chapters-helps explain why the book, though steeped in religious and theological thought, is not primarily concerned with religion; or why, when it addresses religious texts, it is interested less in their dogmatic and sociopolitical strictures than in their zones of wavering, their fragile, poetic self-construction, their self-doubt also. The social role of religion is curative and pastoral. Religion patrols the outlying areas of human knowledge and existence, with the ultimate aim of pacifying the region for its hopeful occupants. On the whole, the mode of religion is declarative. The folk tales, myths, sayings, and parables of which it is made tell the believer what to know. Religion affirms that the basic existential questions are answerable even when, oddly, it declares the ordinary human mind unfit to comprehend them. Frequently, it urges us to adopt the revealed truths especially because they make no sense. However, absolutely believing a fact that the mind does not or cannot actually know plays loose with human finitude. As orthodox believers, we depart from the horizontal plane of human knowledge and commune with celestial entities, call them Brahma, Yahweh, or Allah, in whose viewpoint it all makes sense. We believe that they know; we believe that when or if we abandon our human horizon, we will know too. In other words, we believe there is an exit from human knowledge, and we begin to see ourselves from the thither side of this opening, through God's eyes. This is where the horizon proves its creative intellectual role. Although undeniably aglow with religious feeling, the horizon disappoints this radiant promise. No one can logically or practically travel through the horizon. An optical dream of transcendence, it actually plants us deep in immanence. The horizon holds in tension the antinomy of transcendence and immanence and gives a spatial image of their exquisite union and separation. Let either transcendence or immanence tip the balance to its own camp and the horizon vanishes. The horizon is just the forever-suspended eventuality that one may dominate the other and create a synthesis. As the substance of a book, so much thin air may be cause for intellectual unease. We are dealing with an unfinished and interminable balance between the known and the unknown. A tension rather than a synthesis, the infinite longing sits ill with certain ideas regarding historical progress and resolution. In fact, "a history of our infinite longing" is an oxymoron under a thin disguise-since by history we mean an onward narrative that knows where it is going and finds resolution, if not in actual social utopias, at least in the minds of those who verbally bundle history into learned volumes. We can write episodes in the changing history of horizon gazing and transcendence sighting; we cannot round up this history under a successful teleological theory. The horizon itself forces us to be piecemeal rather than mercurial, analytic and not synthetic. The following chapters are a history of irresolution, of baited knowledge-a reason why I have preferred the hesitant voice of poets or, when listening to the seers and theologians, to heed the poet in them. It is an open question whether religions go through a historic journey of progressive clarification; but it is quite clear art and poetry obey no such progress, and no critic would get very far on the thesis that, say, T. S. Eliot solves or resolves the formal and spiritual disquiet of Gilgamesh. Art, like religion, is moved by transcendence; it is human expression probing the limits of the utterable, but it is a form of expression passionately committed to the human immanent plane. To the convinced religionist, the horizon holds majesty but no mystery; to the materialist, it holds mystery (one can always travel farther and gain more) but no majesty. It is to the poet-philosopher, the hoping skeptic, that the horizon unveils its shimmer. A word about philosophy, which, next to religion and art, lays down the third layer of our overlapping approach. On the face of it, the words transcendence and philosophy seem like natural-born strangers. The philosopher's job, ever since Socrates politely asked the gods to stay out of the human conversation, is to articulate sensible thoughts about what we can observe and verify. Philosophy does not fetch its answers from heaven. It plods on at ground level, framing reasonable questions about what we usefully know and perceive. Our knowledge never transcends space-time; neither, therefore, should our explanations, or the method we use to sort them out at any rate. In this respect, philosophy is faithful to the horizon of human knowledge. Being faithful to this horizon, however, need not imply the absence of wonder. One can agree that philosophy's job is to discourage us from articulating worldviews from a standpoint no human being can occupy; but, consistent with this view, one can also sensibly argue that contemplating the bounded horizontality of human knowledge urges us to ponder our finitude, or, say, to suffer its exiguity. Only through great intellectual self-mutilation can we suppress wondering about what we cannot know. After all, it is knowledge itself that creates nonknowledge, and we would therefore have to give up knowledge to stop marveling at our finitude. To draw the limits of thought, as philosophy does, is to invite us to peek beyond. Let those realms beyond human intelligence be undiscoverable: still we don't just give up the intuition that their undiscoverableness is our business. "The supreme paradox of all thought," the nineteenth-century philosopher Søren Kierkegaard wrote, "is the attempt to discover something that thought cannot think." The human experience would be the poorer for not plying this contradiction-a contradiction to confirm that we not expect philosophy, any more than art or religion, to close or resolve the horizon. For philosophy too walks the tightrope between immanence and transcendence. Given this irresolution and the corresponding lack of historical momentum, we need to explain why the following chapters nevertheless fall into a chronology of civilizational ages (the Archaic, the Philosophical, the Theological, the Scientific, the Subjective, and the Mathematical). These "ages" are too broad to carry real scientific authority, and no such claim is made here on their behalf. It would be fatuous to suppose that the people of one epoch thought "archaically" but not "philosophically" or "philosophically" but not "theologically," or that as soon as scientific materialism and humanism took over the zeitgeist, the old archaic theological questions simply went to pasture. In many ways, these ages live concurrently in the moral life of Western civilization. For instance there is no reason why, had I veered into one path rather than the other, the Theological Age section could not have come ahead of its contemporary, the Philosophical Age. By way of clarification, archaic as used here means what comes first in the story (from the Greek arkhç, "beginning") rather than "antiquated." The Philosophical Age designates the awakening of a broad cosmic awareness of the oneness of nature, of a single universal horizon arching over all there is. The Theological Age derives certain monotheistic assumptions from the Philosophical Age, and it is through these assumptions that religion became, at least in the West, the main and sometimes jealously guarded way of imagining the boundaries of knowledge and experience. Continuous with this age, there arose a more rationalistic method of organizing the known world along mechanical templates, the Scientific Age, which captures a mindset that by and large lasts into our own age. The Subjective Age and the Mathematical Age should be therefore regarded as tributaries of this scientific current: the Subjective Age expresses the high-flown, enthusiastic affirmation of the center of scientific knowledge, the instrumental knower; the Mathematical Age recounts a manifold campaign to abolish this human center from knowledge, to establish an immanence without man that, in the ends, begets a transcendent discourse by the back way. Here, then, are the main articulations of what is, and is not, a narrative: it is a narrative inasmuch as it contains definite, through overlayered, periods and episodes; and it is not a narrative because it stays put, because we at the end are no farther or closer to seeing our way through the questions that initiated its quest: Where do we come from? What are we? Where are we going? To which questions we might also add the Kantian "How much can we know?" It is, I realize, no small contradiction, indeed it is a possible sign of a misconstrued vocation, to proffer a study on a topic about which, ultimately, we know nothing-let alone to construct the "history" of a striving that stays put. What is a horizon? A line where land meets sky? The end of the world or the beginning of perception? In this brilliant, engaging, and stimulating history, Didier Maleuvre journeys to the outer reaches of human experience and explores philosophy, religion, and art to understand our struggle and fascination with limits—of life, knowledge, existence, and death. Maleuvre sweeps us through a vast cultural landscape, enabling us to experience each stopping place as the cusp of a limitless journey, whether he is discussing the works of Picasso, Gothic architecture, Beethoven, or General Relativity. If, as Aristotle said, philosophy begins in wonder, then this remarkable book shows us how wonder—the urge to know beyond the conceivable—is itself the engine of culture. Didier Maleuvre is Professor of Comparative Literature at the University of California, Santa Barbara. He is the author of The Religion of Reality: Inquiry into the Self, Art, and Transcendence and Museum Memories: History, Technology, Art. 1. Permanence: Egypt, 2500 B.C.E. 2. Astonishment: Mesopotamia, circa 1900 B.C.E. 3. Enterprise: Aegean Sea, circa 725 B.C.E. 4. Tremor: Northern Kingdom of Israel, 500 B.C.E. 5. Exile: The Desert of Moab, 450 B.C.E. 6. Synthesis: The Hellenic Archipelago, 500 B.C.E. 7. Closure: Athens, circa 400 B.C.E. 8. Distance: Nicaea, 325 C.E.